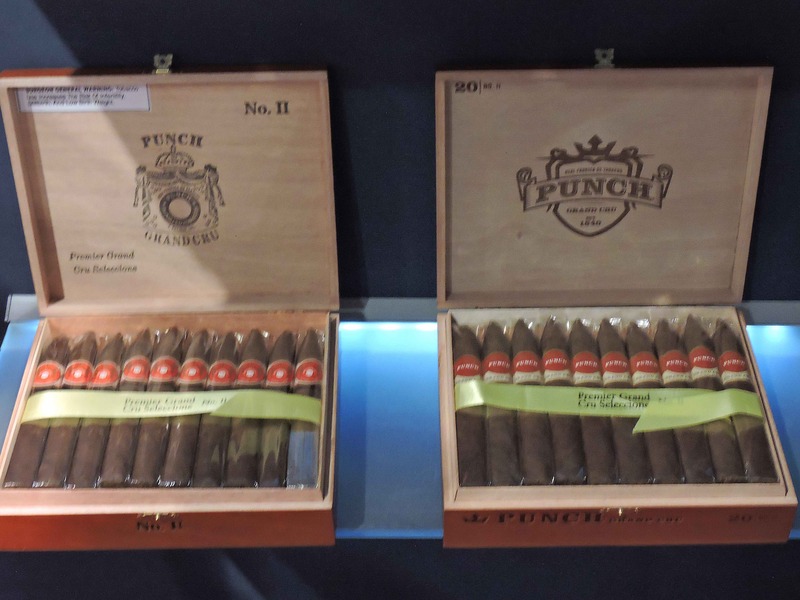 There is always something exciting to see at the General Cigar booth. I draw an analogy that it’s like going to Macy’s Department Store at Christmas time. The presentation is excellent and the cigars are always intriguing. 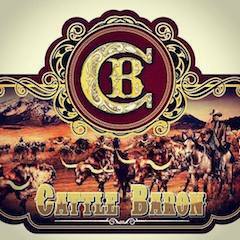 In past years, we have seen General Cigar go heavier with one brand as opposed to another. The past couple of years have seen General spread the wealth across all of its brands, with no more than 1 or 2 new releases maximum across the brands. While the days of 20+ new blends (a.k.a. the Foundry days) are gone, there still were plenty of offerings to keep folks interested. 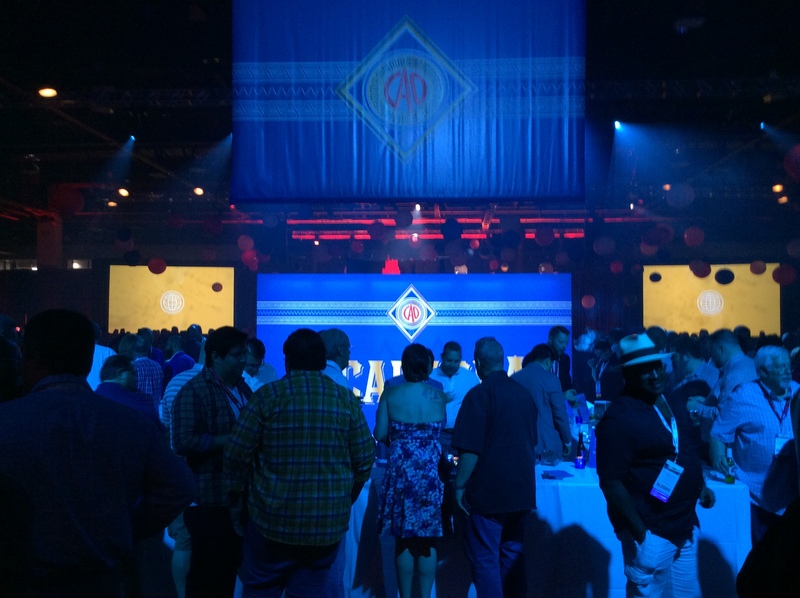 This year, CAO was the featured brand at the IPCPR Opening Gala. 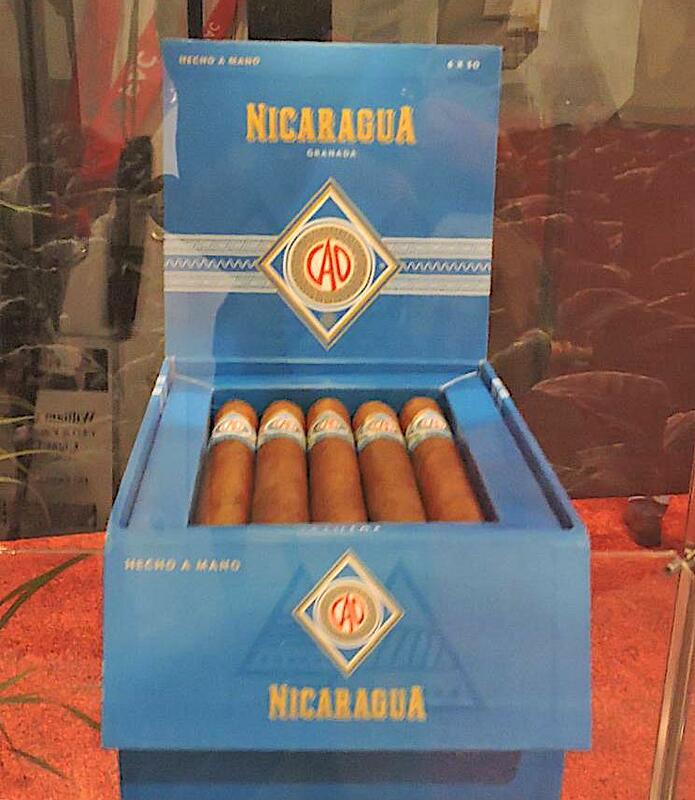 For this year’s event, the brand introduced the latest version of its World Collection, the CAO Nicaragua. 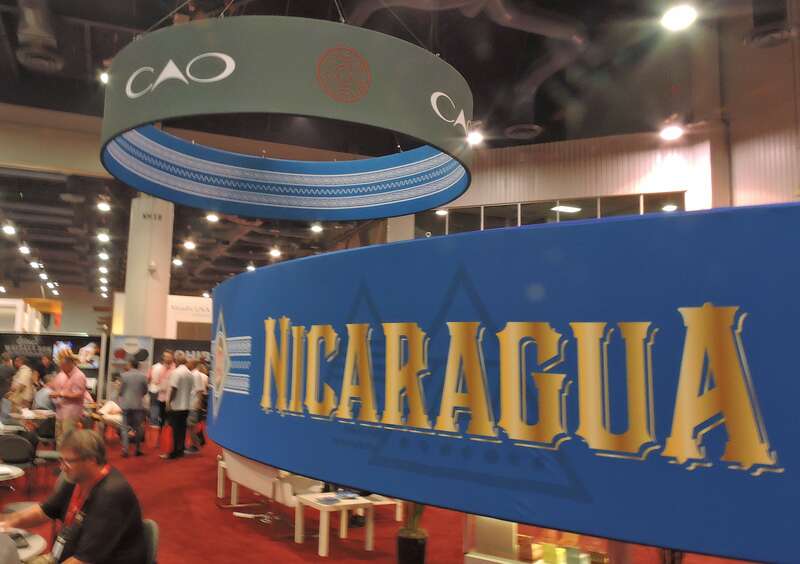 CAO Nicaragua was also showcased prominently at the General Cigar booth. While the CAO Nicaragua is produced at the STG Estelí factory in Nicaragua, it’s a blend that features Honduran tobacco from the Jamastran Valley for the wrapper and binder. 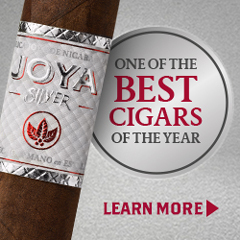 The filler is a combination of Nicaragua tobaccos from Condega, Estelí, and Jalapa. 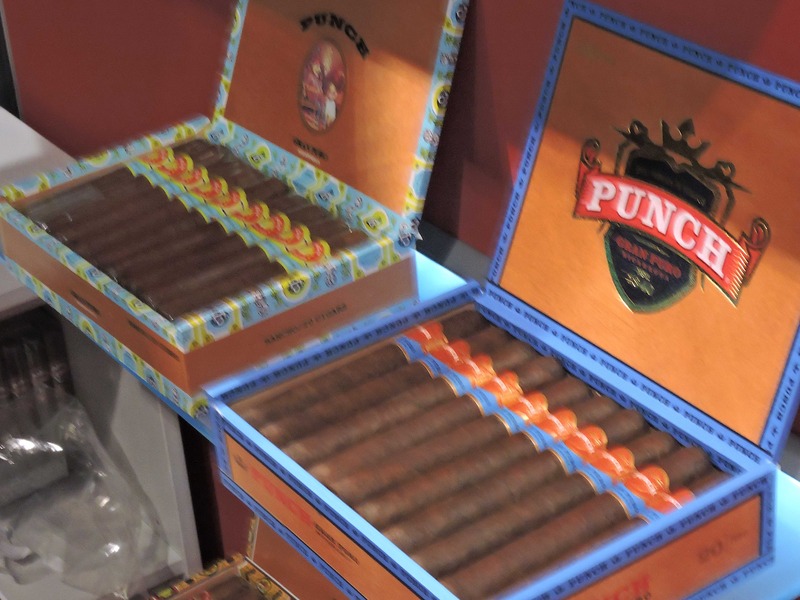 The cigars are available in three sizes: Tipitapa (4 7/8 x 50), Matagalpa (5 5/8 x 46), and Granada (6 x 50). Each size is presented in 20-count boxes. Pricing is set between $6.59 and $6.99 MSRP. In 2017, Cohiba introduced Cohiba Blue, a more affordable Cohiba offering. 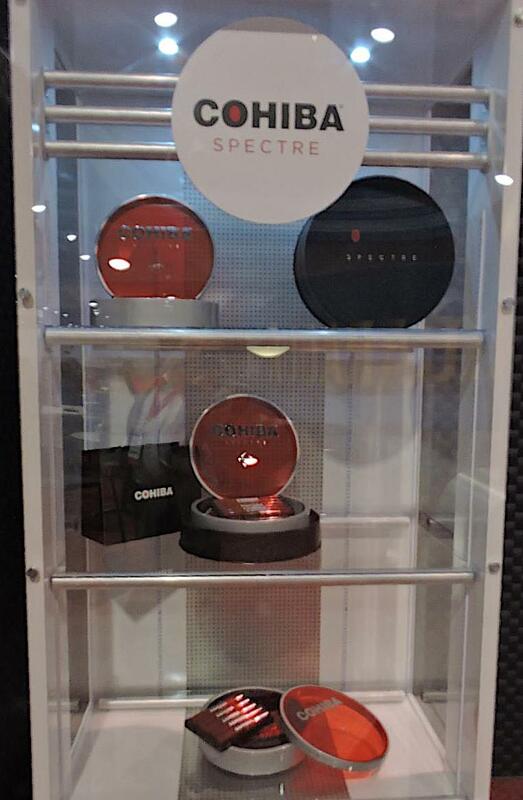 This year, Cohiba went in the opposite direction releasing the limited edition Cohiba Spectre. 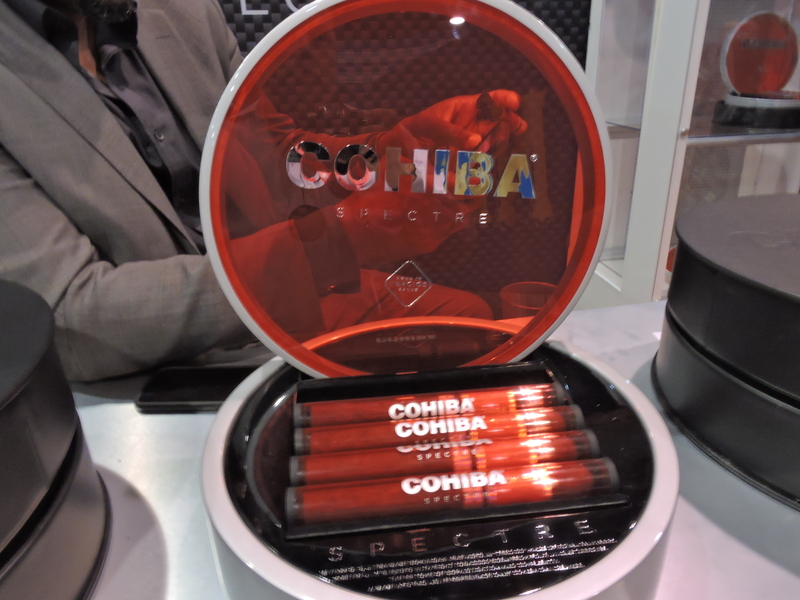 Spectre is the most premium offering to date in the Cohiba line – priced at $90.00 per cigar. It was also General’s most premium offering for 2018. Cohiba Spectre incorporates eight varietals of tobacco from five different countries. At the forefront is a rare Ecuadorian Sumatra wrapper. During the curing process of this wrapper, a small percentage of upper priming leaves developed a reddish hue and were set aside for further aging. The tobacco underwent an additional six months of aging. In the end, General had eight barrels of wrapper tobacco that it felt was pristine and could be used for a special release. In addition, the blend also incorporates Dominican Piloto Cubano tobacco that has been aging in tercios since being harvested in 1995. These leaves are placed at the center of the bunch where it is surrounded by Nicaraguan Estelí leaves from harvests in 2011 and 2014. These Nicaraguan leaves were aged in Spanish Sherry barrels. The blend is rounded off by three Honduran leaves (Olancho San Agustin/2002 crop, Jamastran/2011 crop, and La Entrade/2011 crop). The Spectre is available in one size – a 7 1/4 x 54 Double Corona. It is packaged in a circular red and silver box containing ten cigars housed in tubes. Diesel is a brand that for many years was a catalog brand that was also distributed by Meier & Dutch, which is also owned by General Cigar’s parent company, Scandinavian Tobacco Group. Last year, the brand was shifted into the General Cigar portfolio with the release of Diesel Grind. This year, Diesel took another step forward to ground the brand in brick and mortars with the release of the Diesel Whiskey Row. This project is being done in collaboration with AJ Fernandez and Rabbit Hole Distillery. 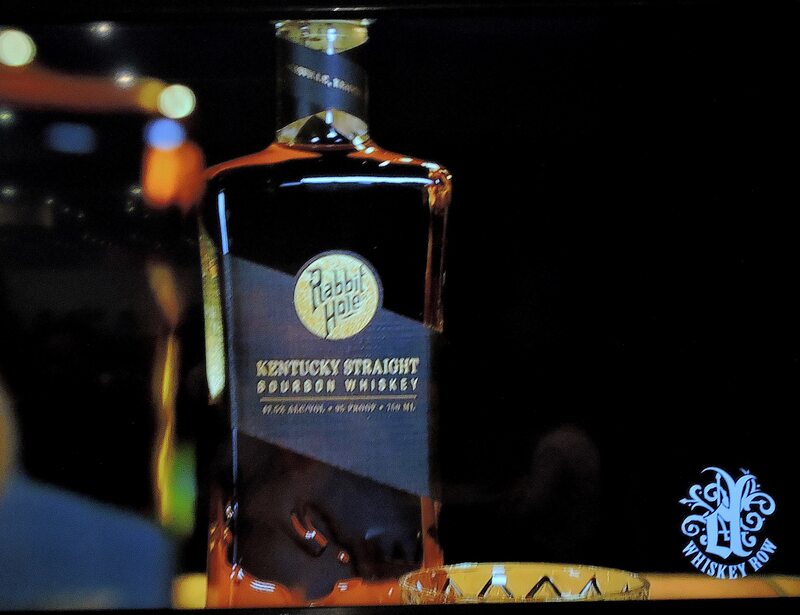 Rabbit Hole is a new small distillery based out of Louisville, Kentucky that produces bourbon, rye, and gin products. Diesel is brand where AJ Fernandez has worked on in the past. 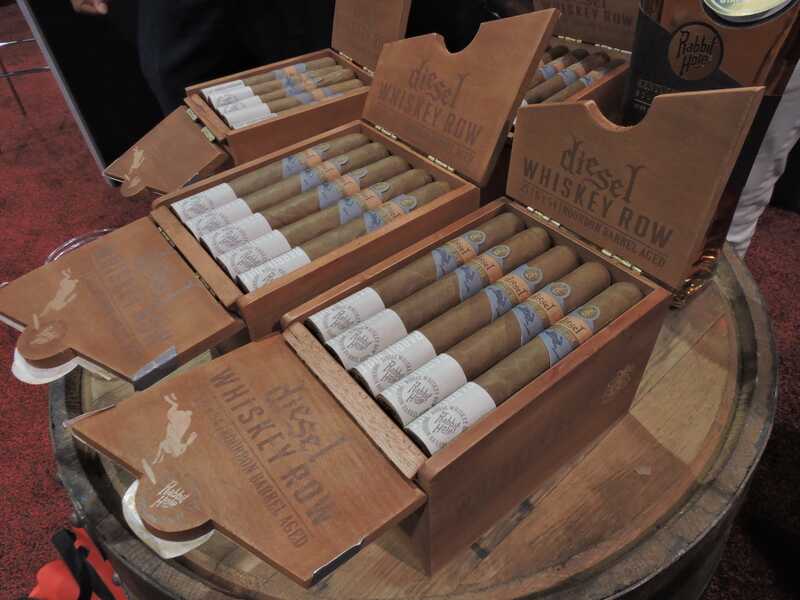 The Diesel Whiskey Row features Mexican San Andres binder leaves that are aged in barrels originally used for Rabbit Hole Bourbon, utilizing a proprietary process that has been developed by Fernandez. The bourbon barrels originally arrived at Fernandez’s factory back in 2016. After placing the San Andres tobacco in the barrels using a special configuration, the tobacco was left to age inside the barrels. The air inside was controlled at regular intervals to ensure the flavors were imported evenly. 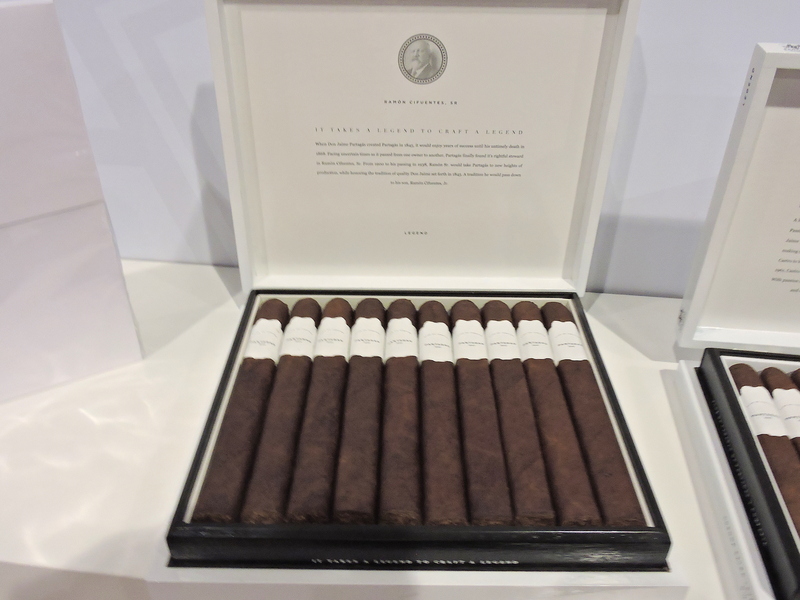 In addition to the specially aged San Andres binder, the cigar also incorporates a three-region blend of Nicaraguan tobaccos from Ometepe, Condega, and Jalapa aged five to eight years. The cigar is finished with an Ecuadorian Habano wrapper. 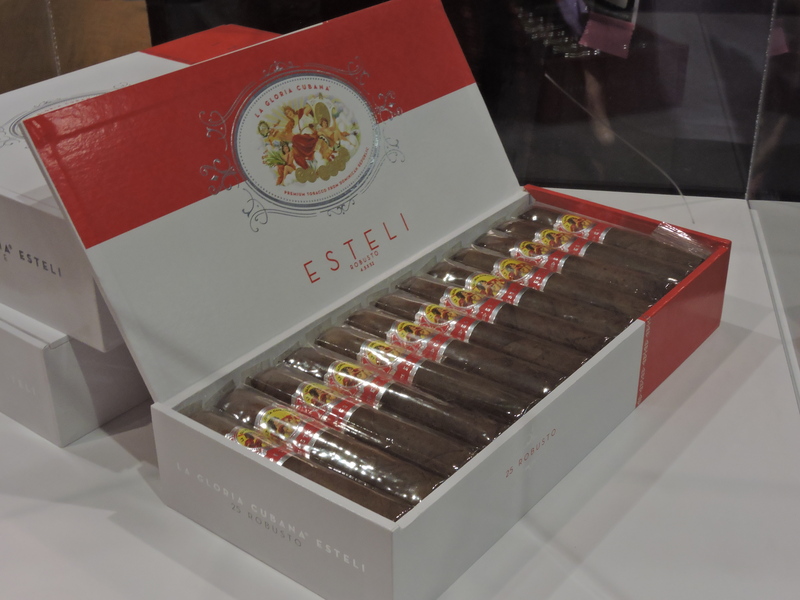 The cigars will be available in four sizes, each presented in 25-count boxes. Pricing ranges from $7.49 to $8.99. 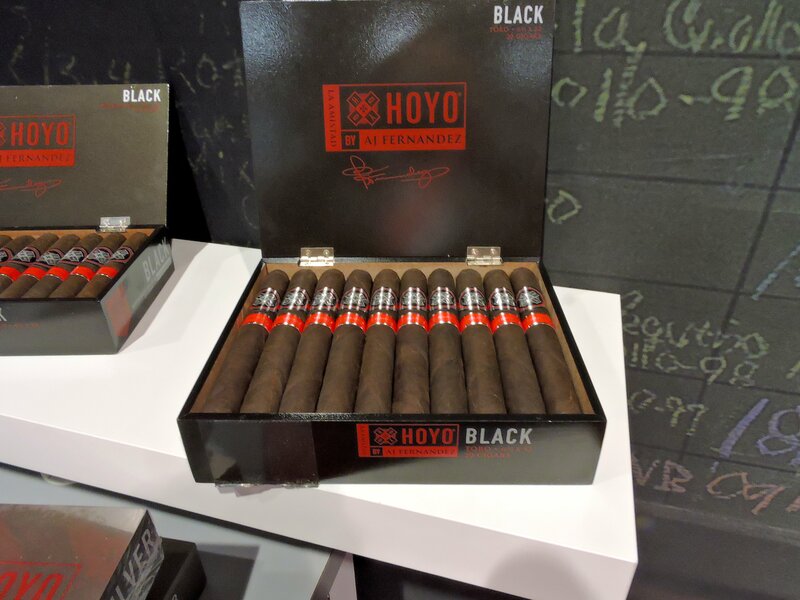 The previous two installments of Hoyo La Amistad have received new box designs. 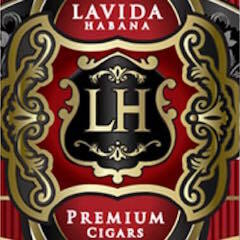 Along with this change, the original Hoyo La Amistad is now officially being branded as Hoyo La Amistad Gold. 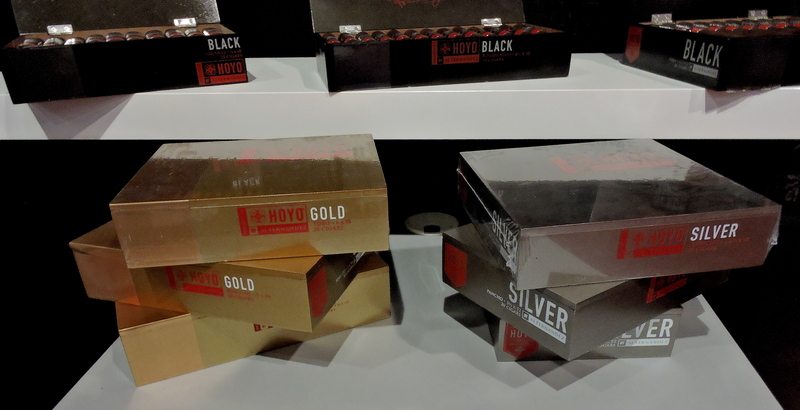 Prior to this change, the box design for Hoyo La Amistad Gold and Hoyo La Amistad Silver were similar to each other, causing some confusion at retailer establishments. 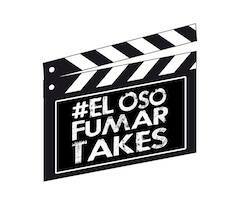 La Gloria Cubana returns to the STG Estelí factory in Nicaragua to produce a line. This time it’s the new La Gloria Cubana Estelí. Since Michael Giannini left General in 2016, the brand has returned to its more classic style packaging and blends. The cigar features a dark wrapper from the Jalapa Valley of Nicaragua, a binder from the Jamastran region of Honduras, and fillers from both La Estrada and Jamastra. 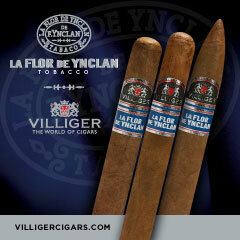 The cigar is available in three sizes: Robusto: (4 1/2 x 52), Toro (5 1/2 x 54), and Gigante (6 1/4 x 60 ). 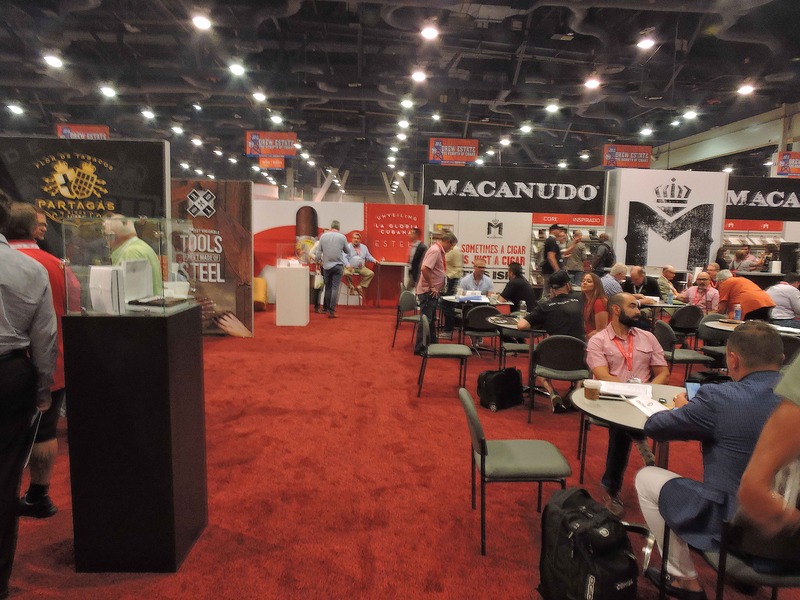 This year marked the 50th anniversary of Macanudo. This year Macanudo didn’t have a formal 50th-anniversary release, but had a release that showed thinking ahead to the next 50 years – the M by Macanudo. 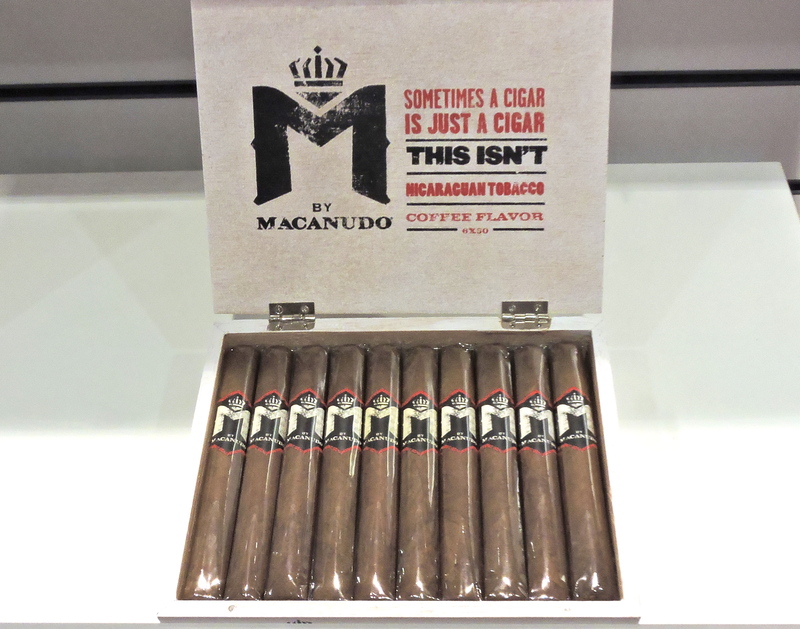 The M by Macanudo is the brand’s first flavored cigar. It is infused with notes of coffee and cocoa. It’s also a rather interesting blend featuring an Indonesian Besuki wrapper, a binder from the Philippines, and fillers including Nicaraguan and “other fine tobaccos.” The binder from the Philippines is something not often seen. 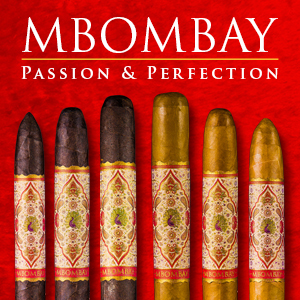 M by Macanudo is available in three sizes: Corona (6 x 44), Toro (6 x 50), and Belicoso (6 x 52). Each is presented in 10-count boxes. 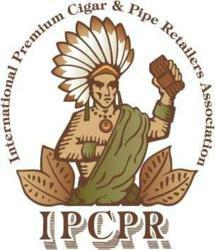 The cigar arrived at retailers immediately after IPCPR. 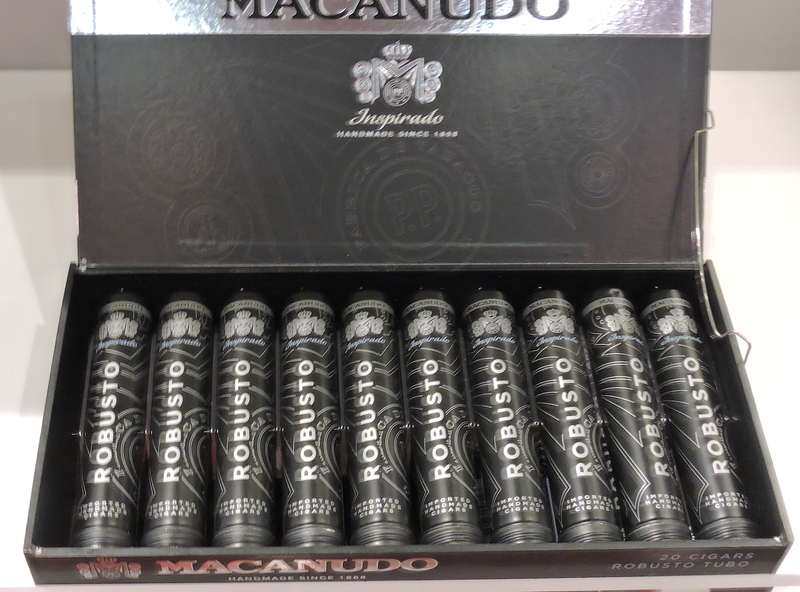 Two blends in the Macanudo Inspired line, Macanudo’s more contemporary style line, received tubo offerings. This included the Inspirado White and Inspirado Black. 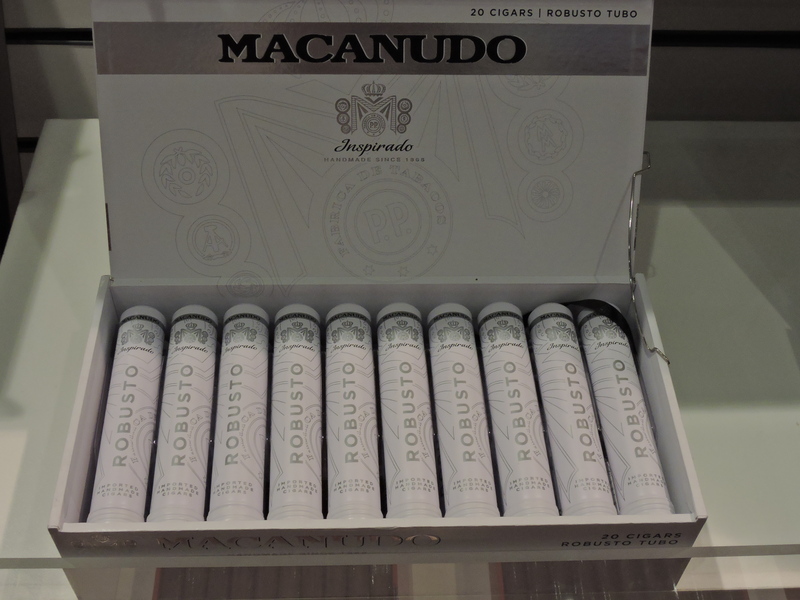 The Macanudo Inspirado White Tubo Robusto is a classic 5 x 50 size. Meanwhile, the Macanudo Black Tubo Robusto is slightly smaller, measuring 4 7/8 x 48. Odyssey is a value-priced bundle brand launched in 2016. It was originally released in Habano and Connecticut wrappers. This year a Maduro offering was added. 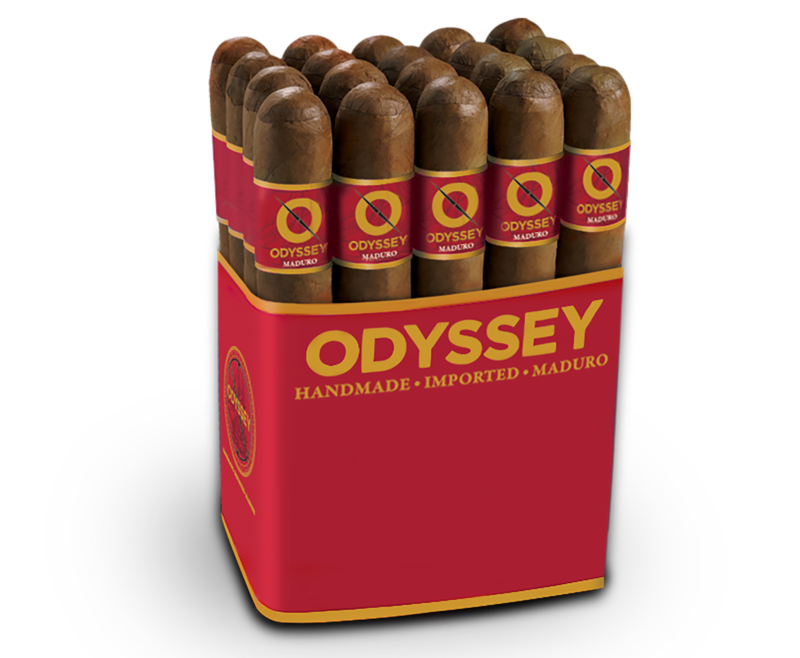 The Odyssey Maduro consists of a dark Nicaraguan Habano wrapper over a Honduran binder and Nicaraguan filler. 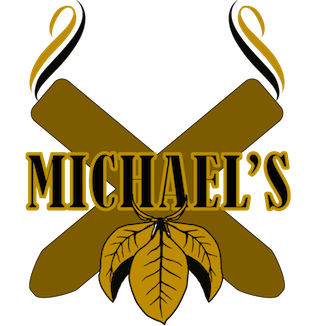 The cigars are available in five sizes (Corona, Robusto, Toro, Churchill, Gigante) – pricing ranges from $1.69 to $2.59 per cigar. The cigars are sold in 20-count bundles. 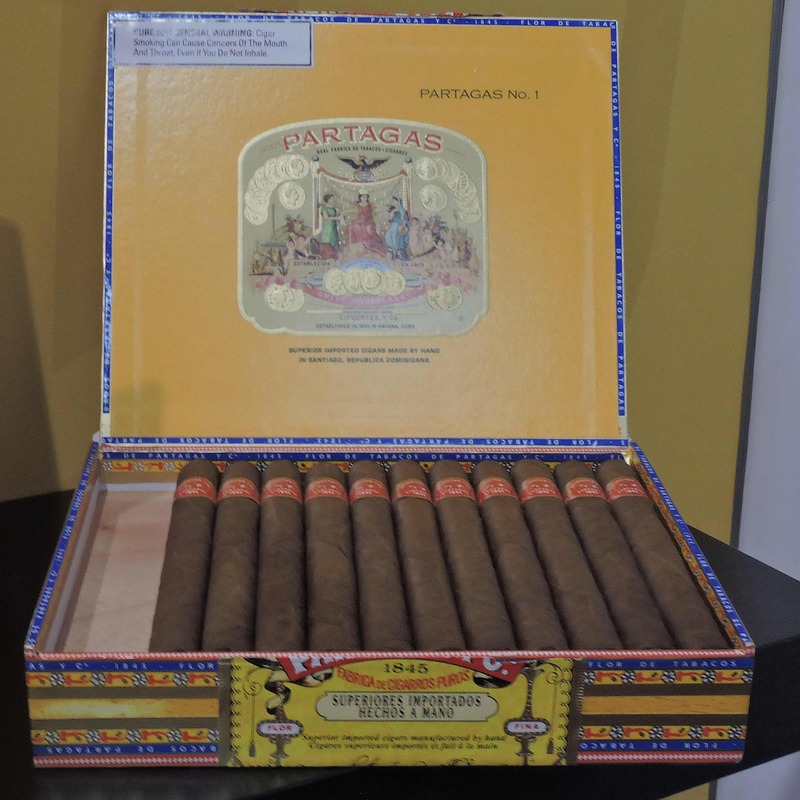 This year Partagás introduced its first Connecticut Broadleaf offering with the Partágas Legend. The line also pays homage to some of the legendary industry people who were contributors to the brand. In addition to the Broadleaf wrapper, the Partagás Legend utilizes a Honduran Olancho San Agustin binder over a blend that includes Dominican Piloto Cubano Leaves. 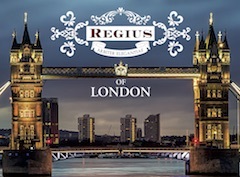 The cigars are available in three sizes, each packaged in three contemporary-looking white lacquer boxes. Each of the boxes pays homage to one the “forefathers” of the Partagás brand including Don Jaime Partagás, Ramon Cifuentes, Sr. and Ramon Cifuentes, Jr. 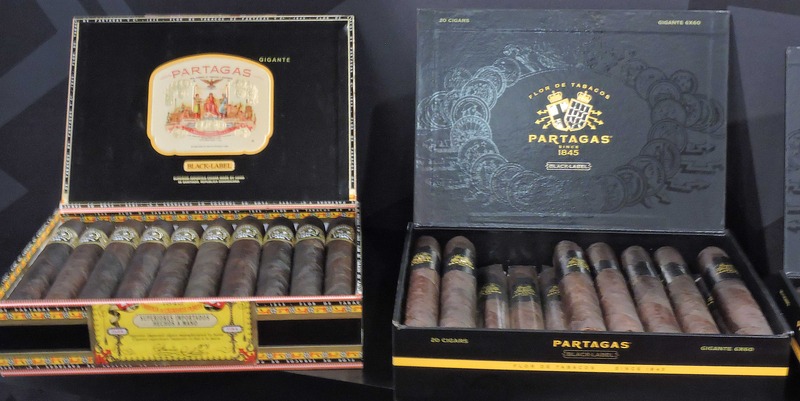 The brand also introduced new packaging to some of its legacy brands, including Partagás (Yellow) and Partagás Black. 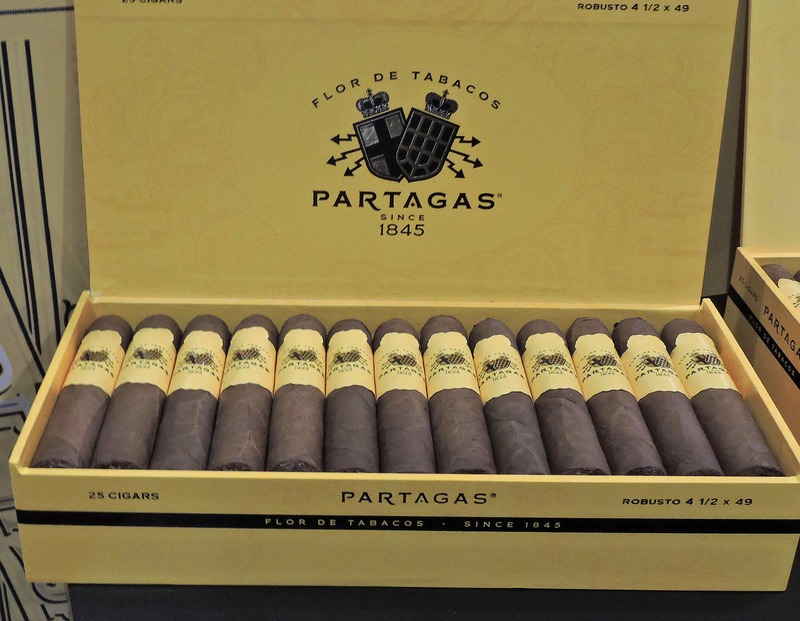 Unlike Partagas 1845, which underwent packaging changes last year, the blends for Partágas (Yellow) and Partágas Black remain the same. 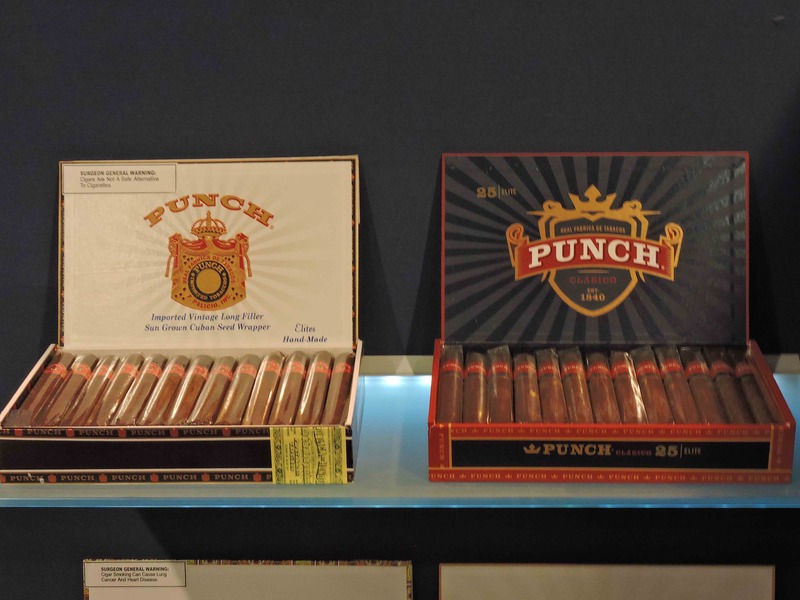 This year, AJ Fernandez got the opportunity to reimagine a cigar for the Punch brand. The result is the Punch Diablo. This cigar arrived at retailers immediately after the show. 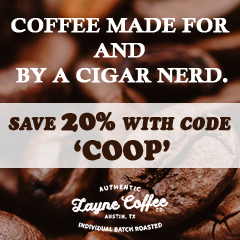 The blend consists of a dark Ecuadorian Sumatra Oscuro wrapper over a Connecticut binder and a combination of Nicaraguan and Honduran tobaccos. 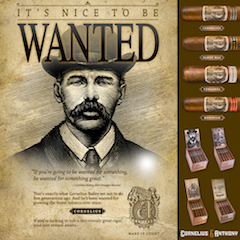 The cigar is available in three sizes: Scamp ( 6 1/8 x 50), Diabolus (5 1/4 x 54), and Brute (6 1/4 x 60). 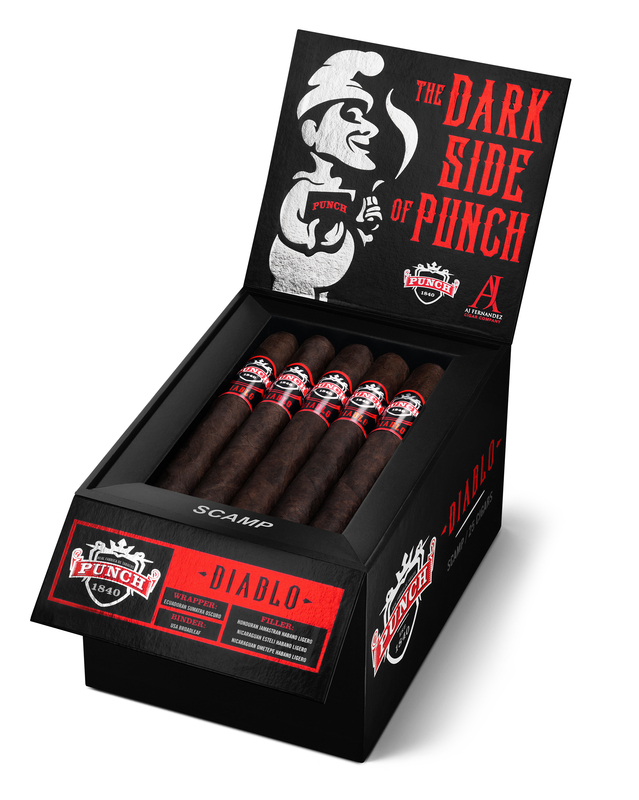 Punch also introduced packaging changes. 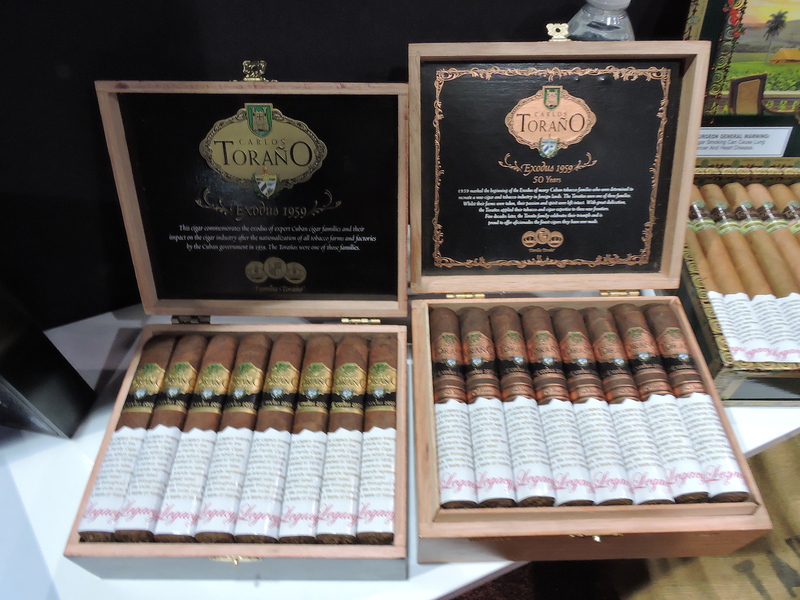 This year Toraño brought back three legacy brands. 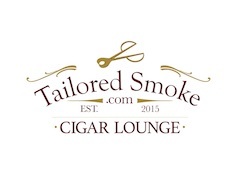 These are three brands sold by Toraño Family Cigars prior to the acquisition of the brand by General Cigar in 2015. Casa Toraño, Toraño Exodus 1959 Gold Label, and the Toraño Exodus 1959 50 Years. Photo Credits: Cigar Coop, except where noted. As a General fan and especially Toraño I am always interested in your coverage .Thanks !